Take to the skies and join the battle in epic WWII dogfights! Climb into the cockpit of your fully customisable warplane and get ready for take-off – your mission is about to begin! Be an ace pilot! Fly solo as a lone wolf or team up with your squadron to control the skies. Pull off gravity-defying stunts and tricks, get the enemy in your sights and hit the trigger to shoot them down. It’s life or death up there, and only the bravest and most skilled pilots will survive! 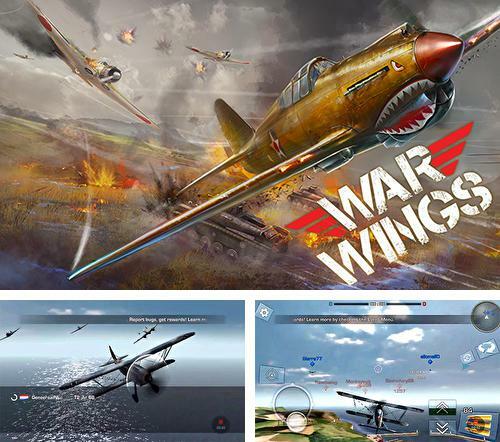 War Wings lets you fly into the heat of the action in multiplayer PVP dogfights. Compete against millions of players worldwide, destroy enemy squadrons and climb the global leaderboards. Show the world that you own the skies! This game requires a minimum 1Gb of free space on your device. Play War Wings with friends! © 2019 War Wings. All rights reserved.